“the forced sale of the Los Angeles Clippers threatens not only to produce a lower price than a non-forced sale, but more importantly, it injures competition and forces antitrust injury by making the … market unresponsive to … the operation of the free market.” According to Sterling, if he is forced to sell, it will devalue the team an create damages in excess of $1 billion. Another twist to the story is that just yesterday news that Sterling’s estranged wife, Shelly, had agreed to sell the Clippers to ex-Microsoft CEO Steve Ballmer for $2 billion had gone public (Sterling’s camp has denied this). If they really have sold the team, what does this mean? 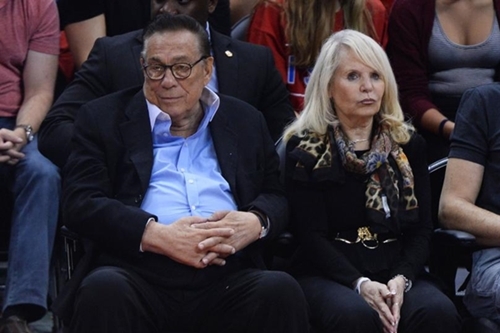 Since Shelly can not sell the Clippers without Sterling’s consent we wait from word from Sterling himself. Donald Sterling bought the Clippers in 1981 for $12.5 million. If in fact they do officially sell the team for $2 billion and succeed in suing the NBA for over $1 billion, they walk away with a cool $3 billion+, minus taxes, lawyers, fees, etc. Can somebody say huge profit. Does Donald Sterling lose in all this? The man is 80 years old, he can decide to buy an island and spend the rest of his life there being fed grapes by girls much hotter than V.Stiviano.